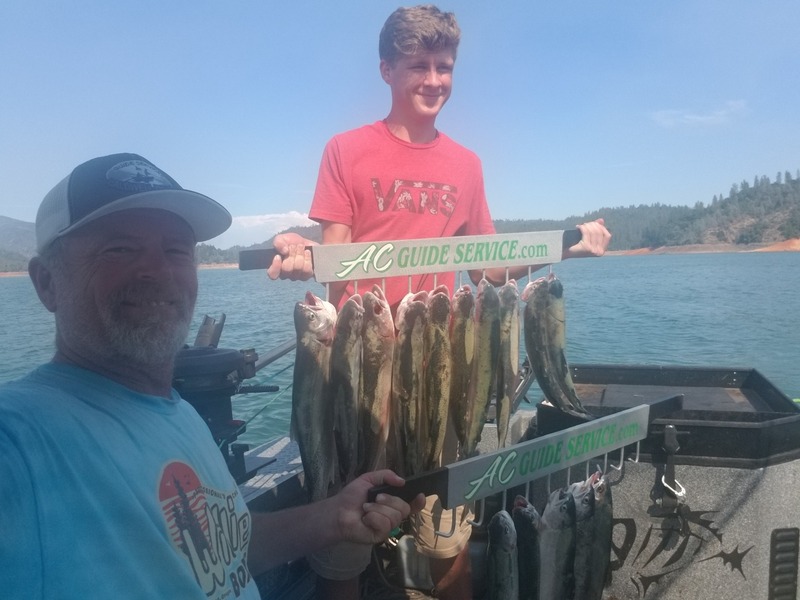 Don't let the afternoon 100 degree temps scare ya off, Shasta lake Fatty Trout are on the bite and at 530am it is a beautiful 65 to 70 degrees, thanks Anthony Cox for a relaxing day on Lake good times looking forward to our next research day haha!!! 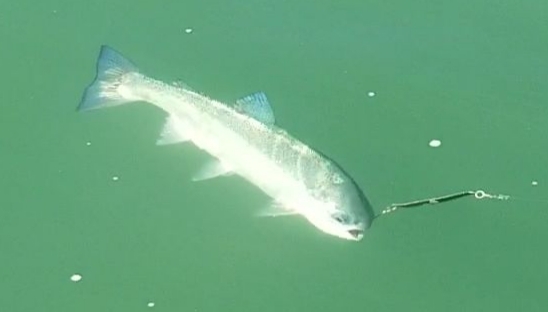 As you can see by the pictures and video these hungry hard fighting piggy trout are gorging themselves on the plethora of bait that is all over Shasta Lake. Trolling down deep 40 to 100 feet with a variety dodgers, plugs and spoons was the way to get bit yesterday. Fishing is going only get better from here on out so book your trip and don't miss out. Give me a call at 530 905 0758 or Book online it is that easy.